The biggest surprise on this year’s Forbes 500 Richest People on The Planet list was a name well known to those who follow black metal. Right below hedge fund manager Steve Cohen and above newspaper magnate Rupert Murdoch stands the name of one of the most revered members of the black metal community, Abbath. While he is mostly known for his guttural vocal wails and sweeping guitar riffs in the band Immortal, he has actually made most of his money from a very strange source. Abbath is the world’s number one distributor of gluten-free products. After reading a study back in 2002 claiming one in every seven people had an allergy to gluten, Abbath started to think about the millions of people gluten-free products could benefit. Weeks later when Horgh, the drummer for Immortal, was diagnosed with gluten sensitivity Abbath created special gluten-free corpse paint for him to wear on stage. 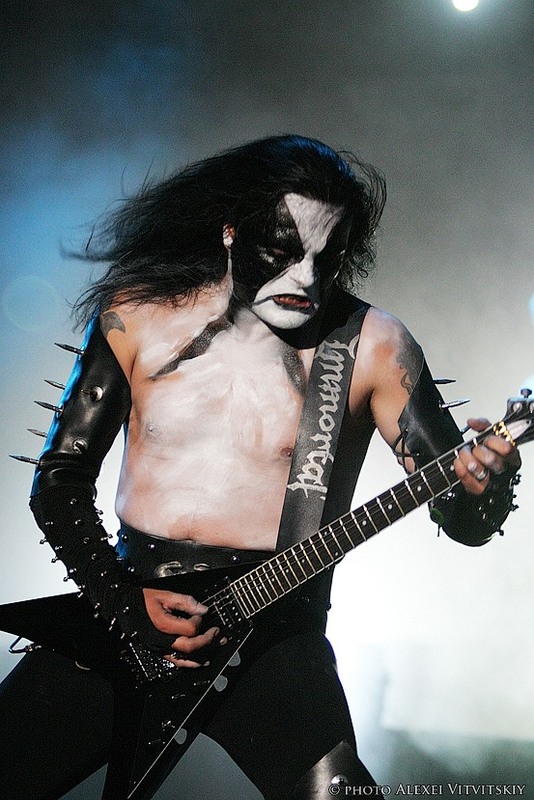 A rash of gluten related issues hit the black metal community in 2003 and Abbath’s makeup began to catch on. This was only the beginning. In 2005, Abbath discovered the idea that has taken the world by storm and turned him into a multi-billionaire…gluten-free cell phones. “There are so many people whose systems can not tolerate gluten. It can cause terrible side effects that range from severe headaches, to rapid eye movement, to explosive logorrhea. I just wanted to help make a difference for people who wanted not to suffer,” said a wistful Abbath in an exclusive interview with Tyranny of Tradition. Since Abbath began mass marketing his Non-Celiac Cellphones seven years ago, they have become an important part of the lives of millions of people. His next step in 2007 was to create a gluten-free line of clothing. While gluten-free collared shirts have yet to take off, many stylish French teenagers have taken to recently wearing gluten free pants and socks. Gluten-free capes and fangs became the number one fashion trend in Romania last year. The War on Gluten continued in 2009 with the introduction of gluten-free appliances. It’s hard to make it though a Wal-Mart without seeing one of Abbath’s gluten-free toasters or washing machines. He has even created gluten-free gluten, an invisible substance that cannot be detected by any of the five senses or absorbed by the body. The Pentagon purchased three cases of it for over 12 million dollars last month. Abbath has major plans for the future. He is currently researching the possibility of gluten-free prosthetic limbs. By 2017, humans could be outfitted with gluten-free arms, legs and even torsos. He has also been working with several space nanotechnology companies in the attempt to create planet-sized, gluten-free computers. A gluten-free spaceship similar to the Death Star from Star Wars is currently in the early stages of production. It would possess a death ray that could extract all of the gluten from a planet while killing all of its inhabitants in less than three seconds. This entry was posted on March 21, 2012, 9:41 AM and is filed under Health Tips for An Early Death. You can follow any responses to this entry through RSS 2.0. You can leave a response, or trackback from your own site. The world is becoming a horrible place for those of us who are gluten fans. They are taking away everything. Billzard beasts, all of them. Everyday is April Fools Day. Damn. This article took a dark turn.